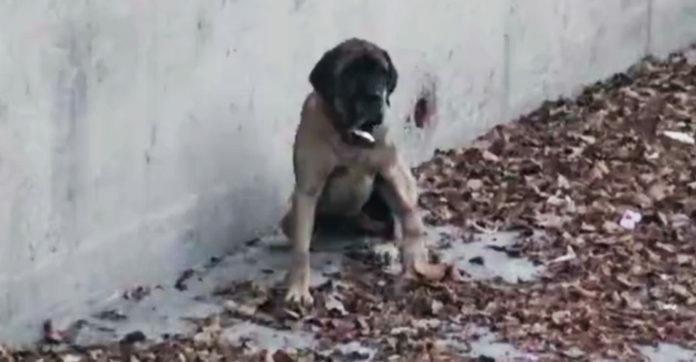 This Injured Mastiff Was Trapped In L.A. River… Weeks Later She Reunites With Her Family! After getting the call over the summer about an injured dog, Hope For Paws went to help. A tourist had called Hope For Paws after seeing the huge Mastiff in the L.A. River near Santa Monica. Her front leg was injured, and she was in pain. She limped away when she saw the founder of Hope For Paws, Eldad Hagar filming her. Eldad was able to quickly capture her with the help of the LA Fire Department. The microchip she had told them that her name was Tinkerbell and that she was from Arizona! Tinkerbell had run off on the 4th of July after being scared by fireworks near her home. The family was elated to hear that she was safe and rushed to be reunited with her. If she hadn’t had that microchip, she would have never been able to get back home! Share away, people!